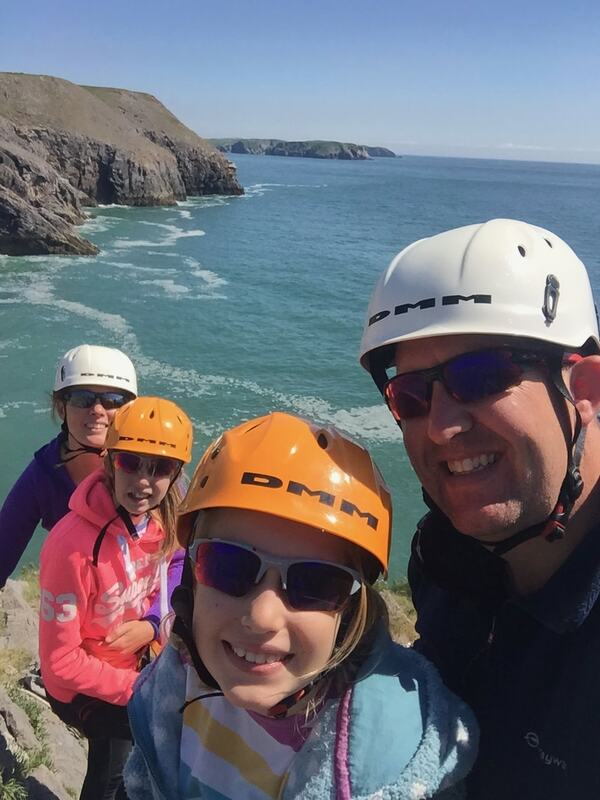 Our girls have tried indoor climbing and even motorised climbing walls but never sea cliff climbing… plus a fair few ‘adventure climbing walls’ in Exeter and Birmingham or ‘real climbs’ in Norway & Croatia… but today was a real challenge with no brightly coloured hand/feet holds… just solid unrelenting Pembrokeshire stone to find some purchase! 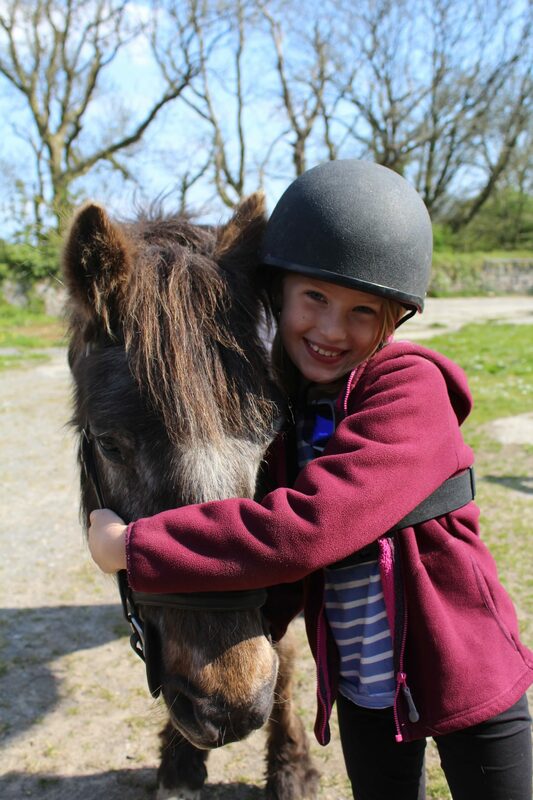 As for accommodation, if you’ve missed our earlier article about the quality of the Bluestone lodges, the relaxed setting and the amazing array of activities they offer, then click here, but take it from us… it’s the perfect place for a busy active family to explore Pembrokeshire… or even a ‘3G’ holiday with the grandparents!! 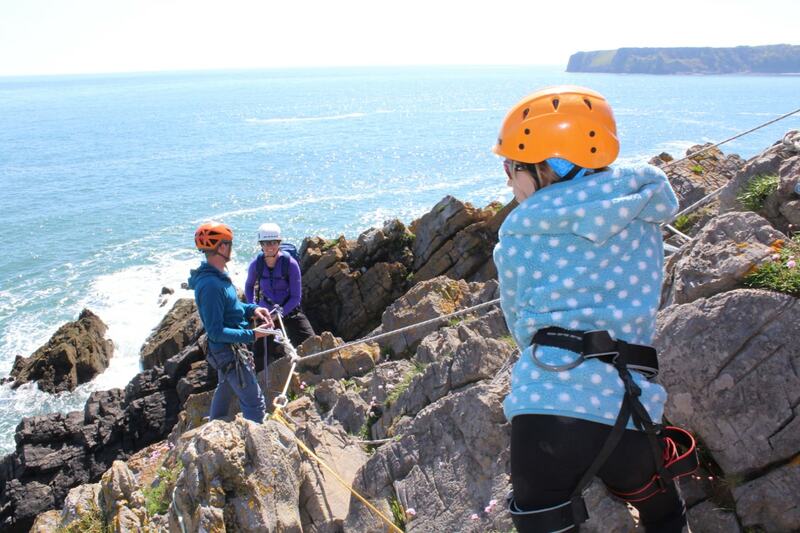 You only have to look at the stunning photos of the coastline, to understand just how special the location was for our first experience of climbing in Pembrokeshire. 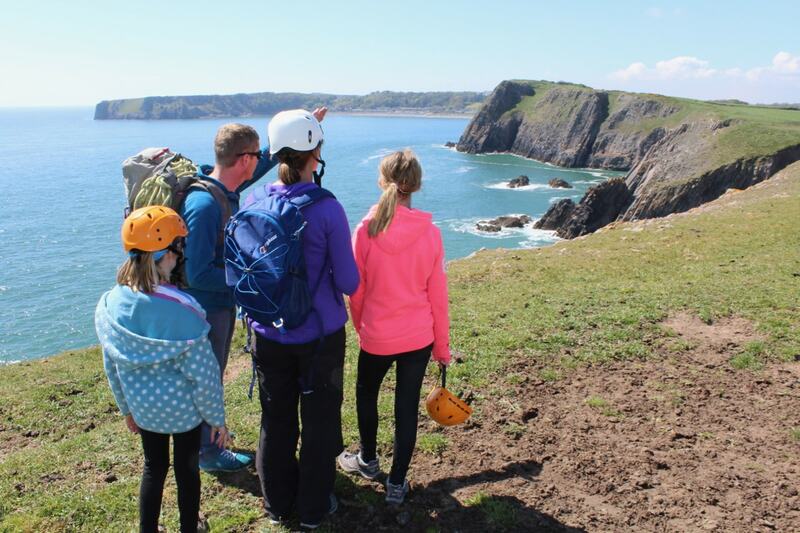 We’d loved seeing this coastline on our first visit to Pembrokeshire and could see the potential for adventurous, family fun… so what could Climb Pembroke offer? Firstly, let’s deal with the important stuff!!! 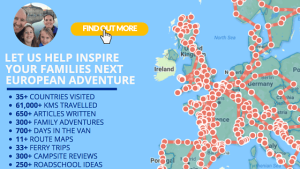 The safety precautions, attention to detail and general technical assistance was the best we’ve encountered across Europe. 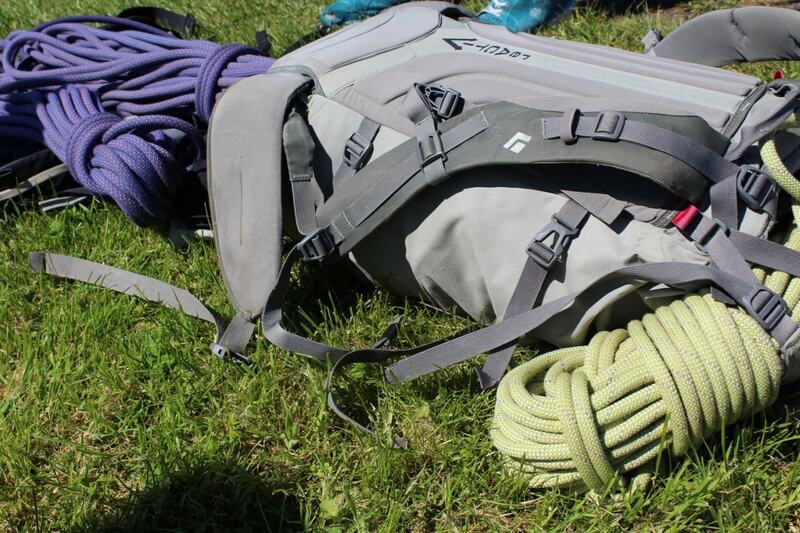 Our guide, Henry, is highly experienced as both a climber and instructor and he had both girls listening attentively to each and every word of advice within minutes!! 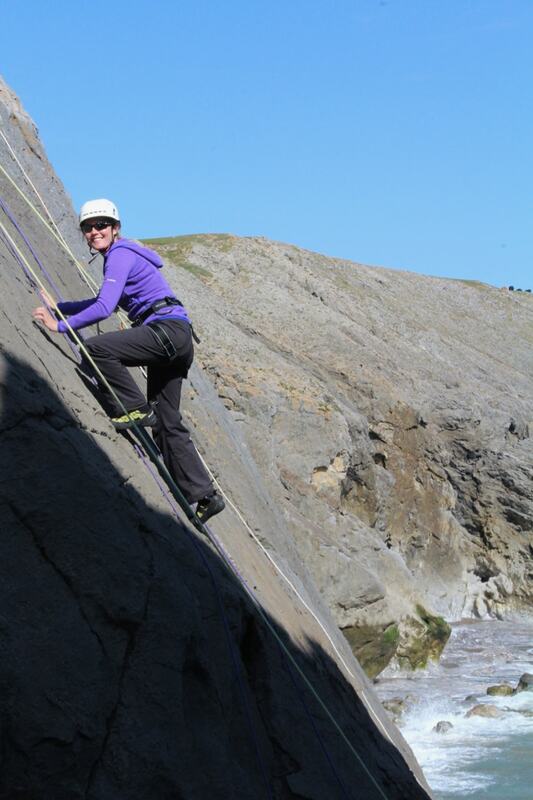 It’s not Snowdonia, but if you love sea cliff climbs, then there’s plenty to choose from… try 4,500 of the best sea cliff climbs in the UK. 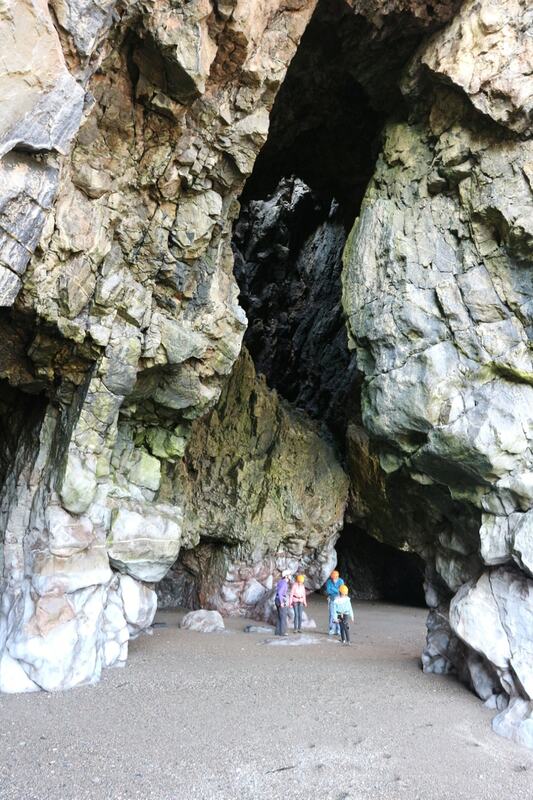 Most climbers will head for South Pembrokeshire, and the cliffs of Lydstep, Penally and Stackpole. 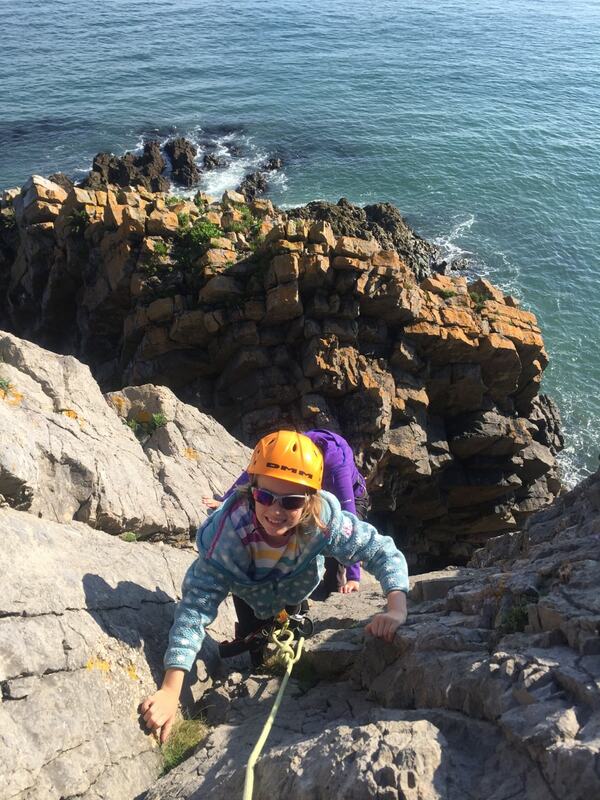 But for those who venture north, there’s also some fantastic climbing around St David’s and the coastline to the north east. 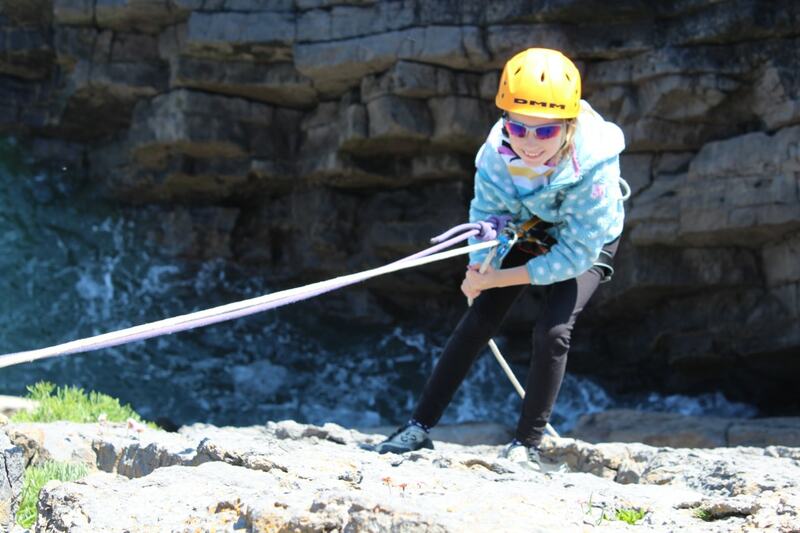 Part of the attraction of sea-cliff climbs is that they are difficult to access except by abseil and at some cliffs you can’t even get a glimpse of the climb until you’ve committed to abseil down…. well that’s not quite the case at Penally near Tenby… but the scramble down to the slab face takes a degree of courage before you launch yourself into the unknown below you….But don’t worry if you have a family of ‘non adrenaline junkies’, this place is for you too… there’s easy scrambles to enjoy, plus some basic climbing and abseiling too…. 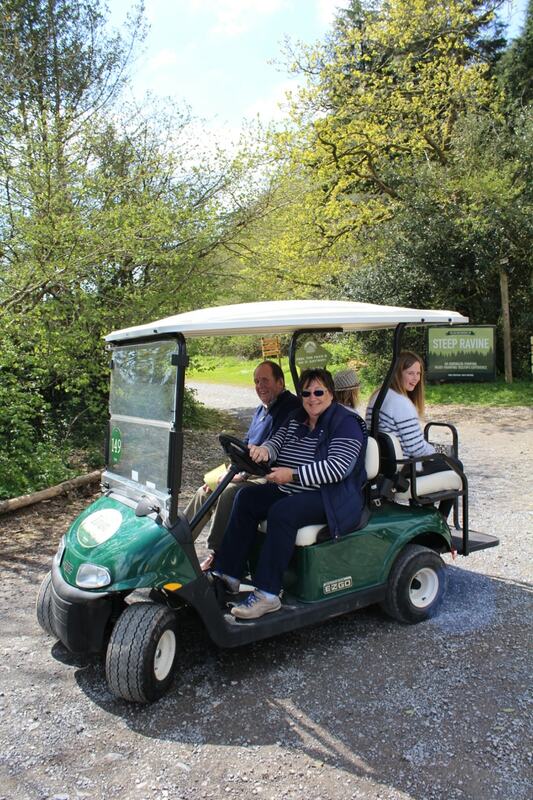 just look at the above photographs as it’s not too hard… although your muscles might ache a little the next morning!!! 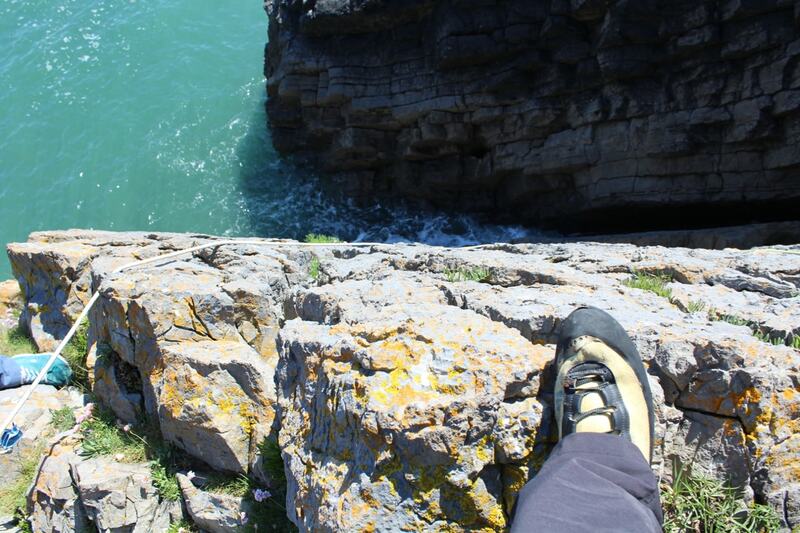 It’s official: Britain has the best sea-cliff climbing in the world just read this article on why…. 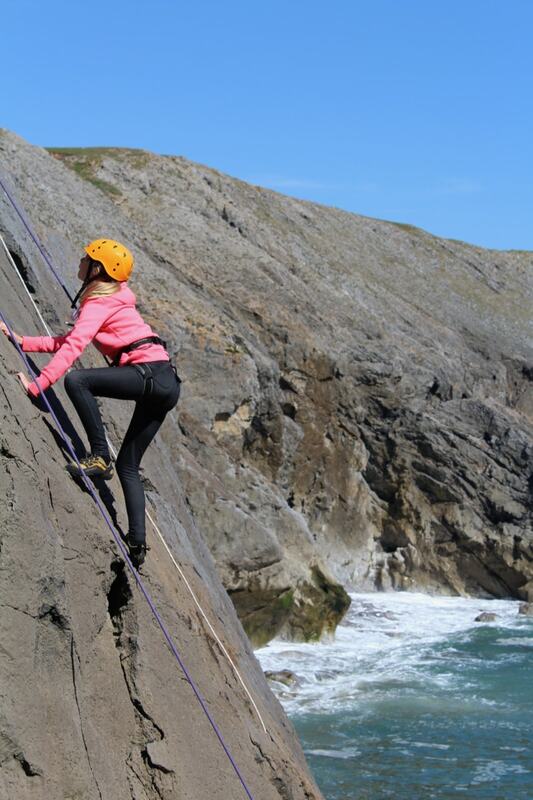 but we’d honestly not expected to have such a wide variety of techniques on offer for an afternoon climb (3-4hrs) from Climb Pembroke… It proved to be a fantastic learning curve for our budding young climbers… who loved every minute of this brilliant opportunity to test their growing skills… plus we also seized the chance to explore the sea caves that were previously hidden by the high tide too! But in truth, we loved the climbing and the ability to abseil into another world, enjoying the sunlight dancing on the water below before getting to grips with an absorbing adventure to get yourself out… or even dangling on a top rope to try and spot the barrel jellyfish or dodge the nesting sea birds!!! 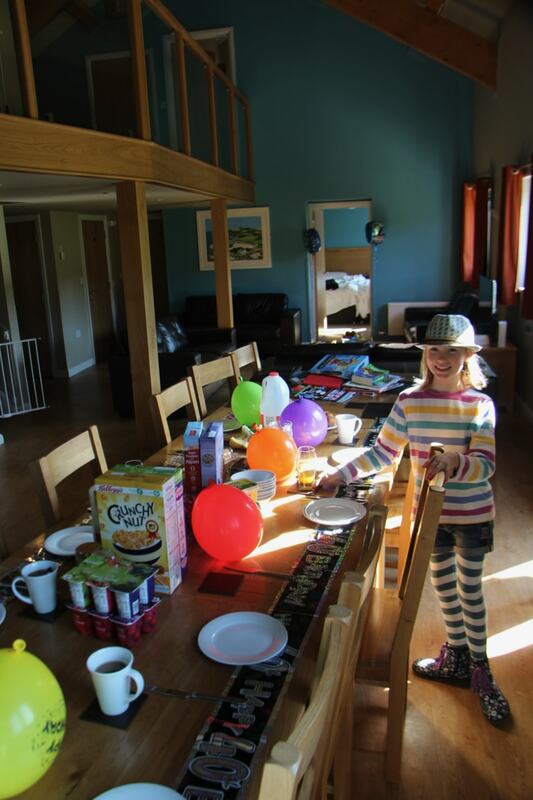 Something to consider ahead of our Surfing Adventure in Pembrokeshire?? 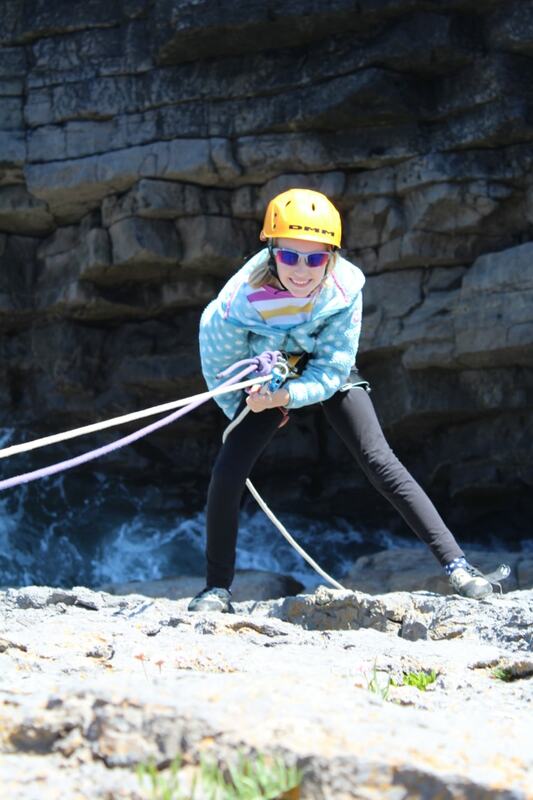 If you read this and are considering taking your kids, it’s going to be a test of your courage, fear and determination… perhaps more than your physical abilities!!! 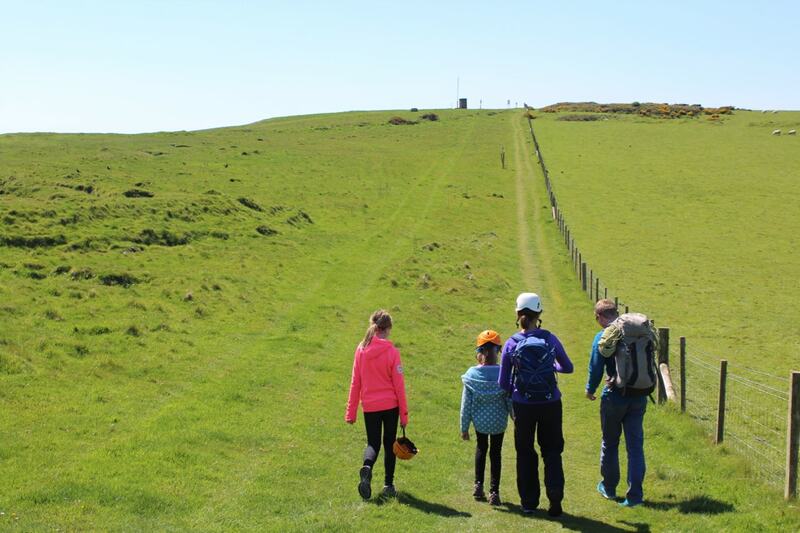 But if you have an active family who love a challenge, then this type of early opportunity to develop new climbing skills might even lead to a lifetime love of this brilliant sport…. 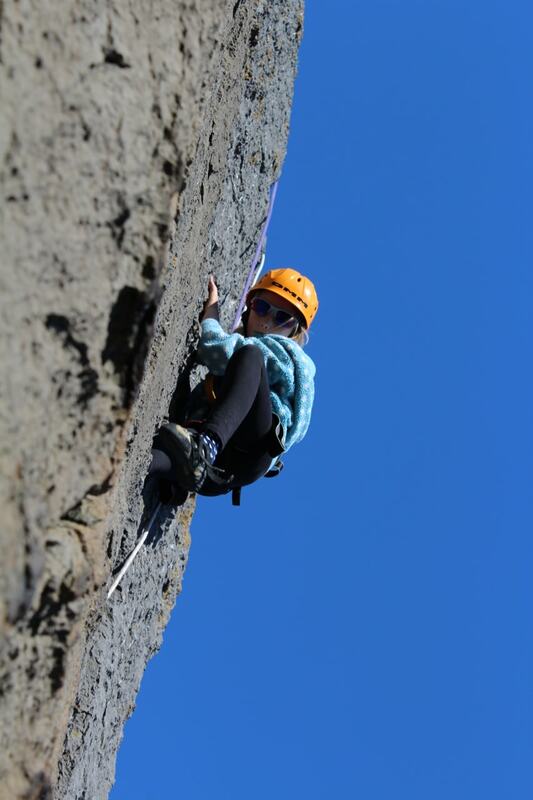 we’re hooked and hope others find the same enjoyment our family has when we grab a new climbing opportunity together. 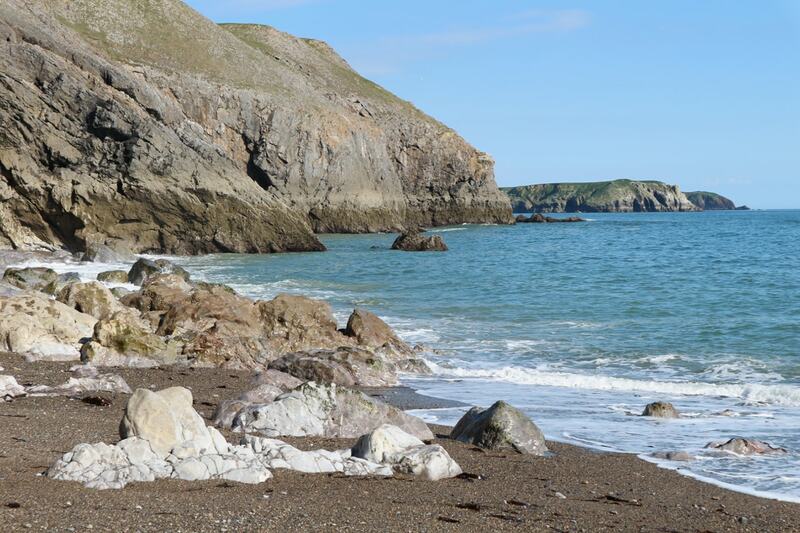 PreviousSurely you can’t take your kids to Pembrokeshire without trying Surfing…?? 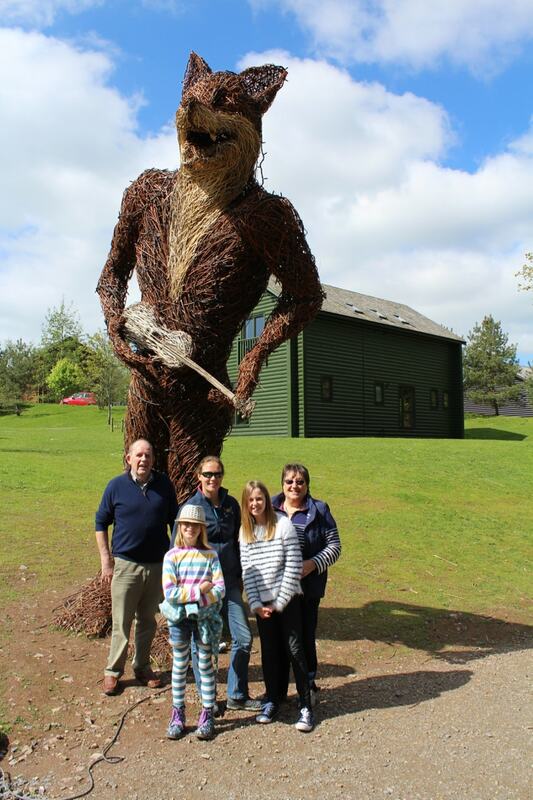 NextSo what else is there in Pembrokeshire apart from the Bluestone Wales Resort?